If you download the data from your LogTag and notice that all the dates are old, there may be a problem with your configuration. If your LogTag is configured so that the second option is chosen, as shown above, you’ve found your problem. 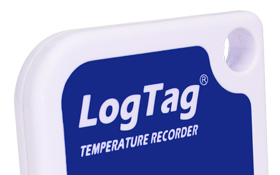 This option will cause the LogTag to record until the memory is full and then stop recording, meaning that current data may not be recorded. To make sure you always have the latest temperature data, make sure that the first option is chosen instead. The first option causes the LogTag to write until the memory is full and then begin deleting the oldest readings to make room for new ones.